If you would like advice on your "plot" or just need help and inspiration then come and walk through our "Gardens within Gardens" and enjoy the peace and quiet of our little bit of English Heaven. 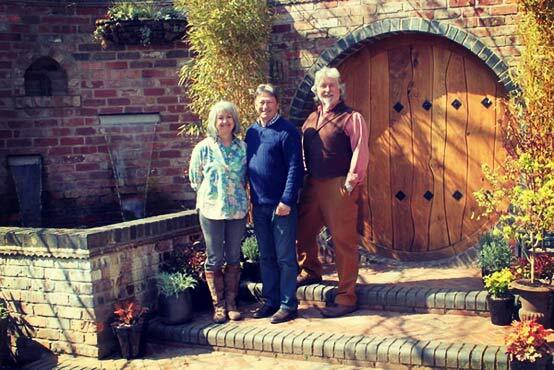 Whitlenge Gardens featured on ITV – Alan Titchmarsh’s ‘Love Your Garden’ show. The show involved Keith Southall giving Alan a tour of the gardens and Alan taking a great interest in Keith’s use of walls and water features. The picture shows Alan, Keith and Fran at the “Moon Gate”. So for a great family day out visit us at Whitlenge gardens set in the beautiful Worcestershire countryside. You are met at the garden entrance by the 8 foot ‘living’ statue of Hearne who won us a top RHS medal at Malvern Garden show, and now stands to protect us all here on your visit to Whitlenge. From here you stroll through our Metal Hooped Pergola into our new “Garden of Thyme”, then through the Topiary gardens and into our “Walk of the Gods” with representations of the many and diverse spiritualties of the World. Turn the corner and you are onto the Deck walk over our Bog garden with the massive leaves of our Gunnera. 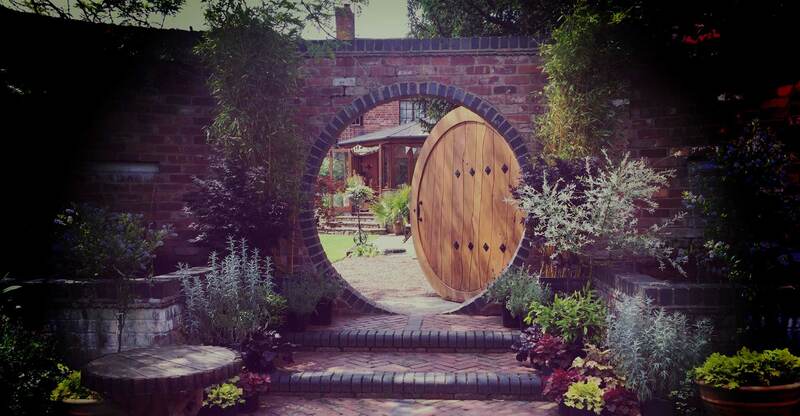 Go through the fascinating Log Arch Portal into the fairy kingdom and see the Hobbit Hole. Then past the stone Folly and down to the biggest hobbit hole you will ever see. Then walk through the twisted brick pillar pergola and around into the Whitlenge Cave. Then through the Oak Rustic gate by the Koi pond and up into the top meadow where we then invite you to walk the sacred turf labyrinth where you can make your wish for the day. As well as the impressive ponds and streams there are also many smaller water features including millstone, rock and cobble bubblers, and several wall and floor mounted water features plus many more inspiring ideas to fit gardens of all shape and sizes. At the front of the house we have a scree garden that incorporates the cobble bubbler feature and also our Green man fountain, the inspiration for which is the English God of the wild wood. The new Craft Shop has some unique and interesting Fairtrade gifts, again where possible from local craftsmen and artists, just right for that ‘special’ little present that’s different from the High Street. There is disabled access to tearooms and gardens and we welcome groups and cyclists. Dogs are allowed on the nursery but not the Show Gardens. Our well stocked garden centre and nursery is adjacent to the gardens. Like the display gardens it is open seven days a week 9am to 5pm (Sundays 10am to 5pm). If you need an ‘Instant Garden’ it can be hard to find a good range of large, carefully grown plants with which to create that ‘instant’ effect. 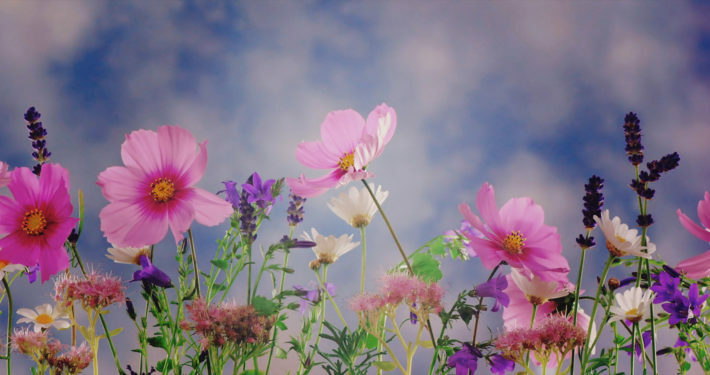 Our nursery carries a large range of plants from popular perrenials and alpines to herbs and fruit trees, but is perhaps best known for its superb range of extra large specimen plants – especially useful for newer gardens. For those larger plants, you can drive your car right up to our beds & show areas to load your chosen plants into your boot or we can deliver. As you can imagine, when you’re choosing a lot of bedding or a few large specimen plants or trees this makes the whole process far easier than dragging a cart-full of plants hundreds of yards back across a full car park! Found it by chance, literally driving past and called in for a breakfast... very good, decent portions to, and polite staff. This was our first time and it won't be the last. We went on a hot sunny day to see their mini gardens, they were great. There are about 21 little garden's, ending on top of a hill with fantastic views. Good garden centre and a great restaurant and staff. Too hot inside, but plenty of seating outside. Delightful little nurseries, team room, gift shop and gardens. The staff are all friendly and knowledgeable. The team room serves a wide range of lunches and cakes which are welcomed after a leisurely walk around the gardens. The gardens themselves aren't large but contain a whole range of planting and features; a treasure trail and Harry Potter themed areas for the kids too. The nurseries left a little to be desired this weekend but after the winter weather of late it's not a surprise; in spring it boats a range of bedding and herbaceous plants to tempt any keen gardener. Well worth a visit for any locals or if you are passing and fancy a cake with a view. This is one of the best places around to visit. 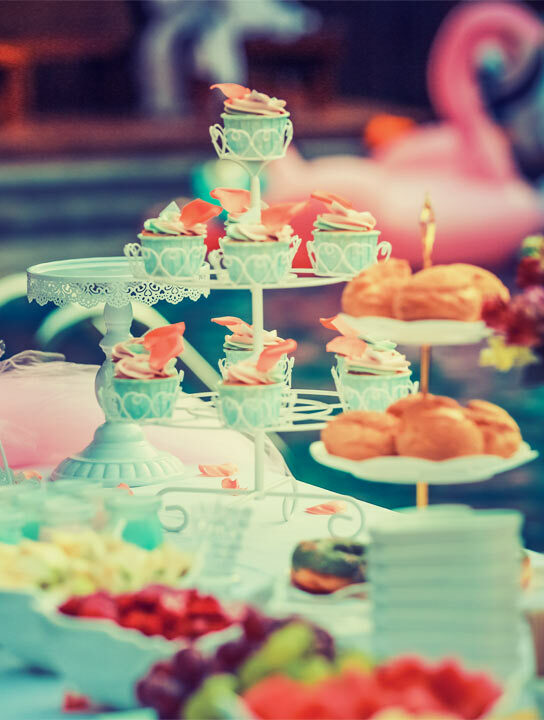 Beautiful gardens and a fantastic play ground, before you even get started on the amazing food, superb cakes, fabulous coffee and the best hot chocolate around. This is one of our favourite haunts. 2019 © Whitlenge Gardens. All Rights Reserved.